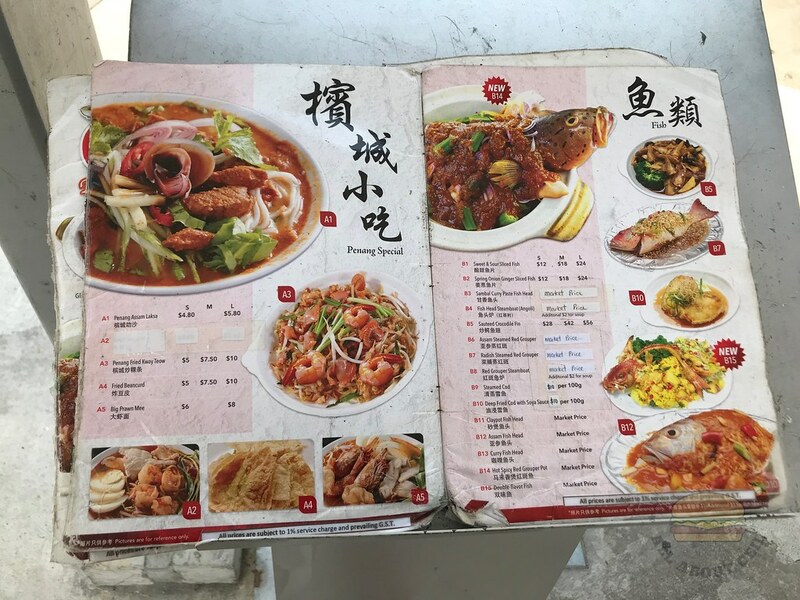 We came across this restaurant while going to Kwong Cheong Thye to get the ingredients for making mooncake. When we were browsing the menu, a friendly lady approached us. She said, "Table for 2? 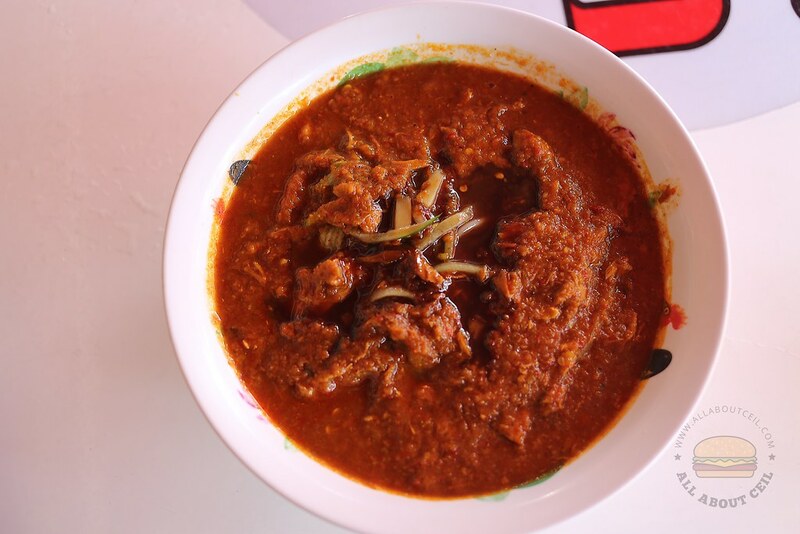 We are famous for the Assam Laksa and Penang Fried Kway Teow. We used to be at the opposite before moving here." 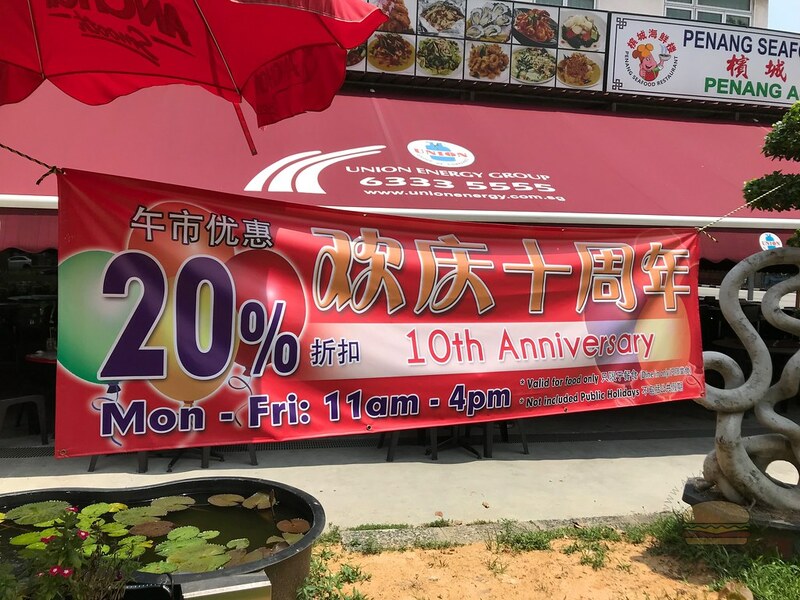 She continued to say, "We are celebrating our 10th anniversary by offering a 20% discount for the food items from 11 am to 4 pm on Monday to Friday till the end of the month." I decided to go with Assam Laksa, there are 2 sizes, the small portion is at $4.80 and the big portion is $5.80. The same lady was taking our orders, she asked, "Small or big portion?". She pointed at the table next to us and said, "That is the big portion. I can finish it by myself." I opted for the bigger portion. 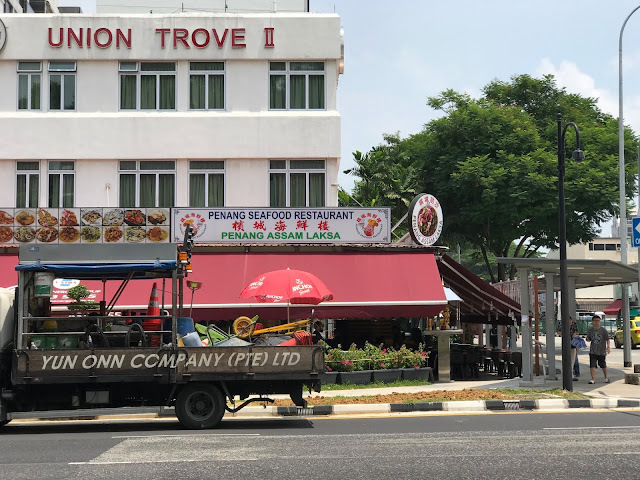 My dining companion ordered the Penang Fried Kway Teow ($5.00) and he requested to have it without chili. 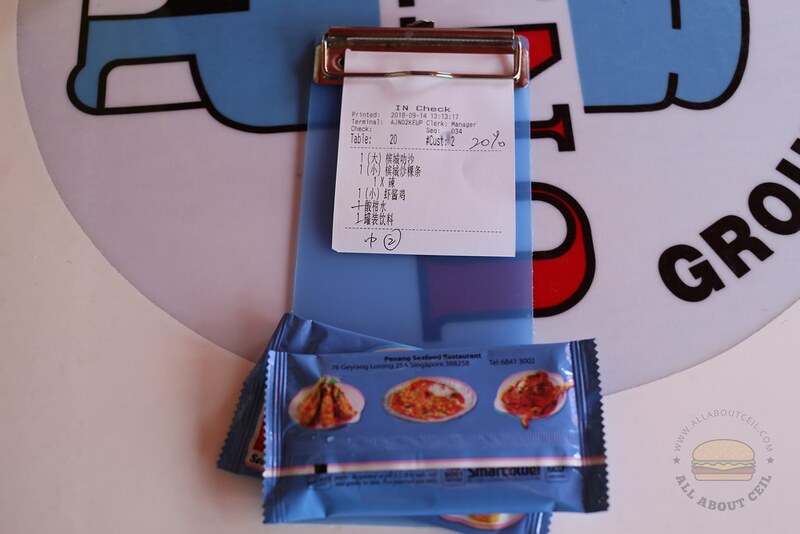 We also ordered Prawn Paste Chicken ($12) to share. 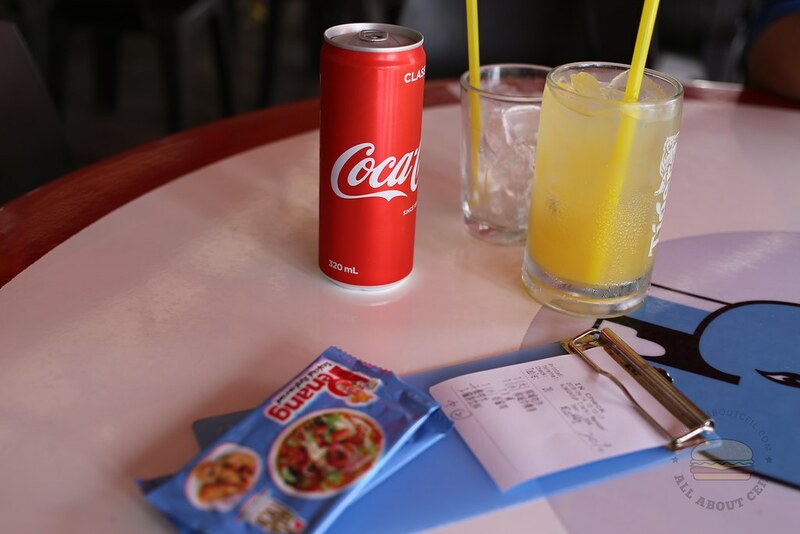 We also ordered a canned drink ($2.00) and Lime Juice ($2.50). I wanted to order coffee but was told they are using the 3-in-1 instant coffee. The canned drink and Lime Juice came right after. The Assam Laksa came first. 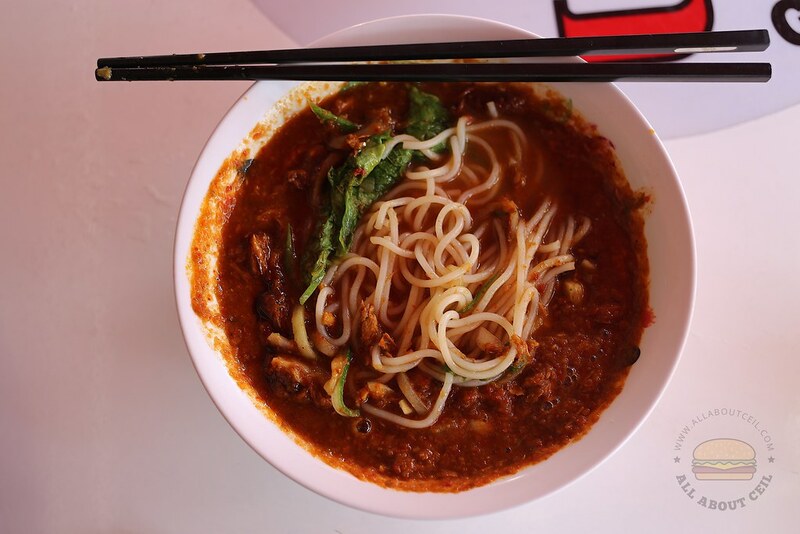 There were some reviews stated that this is probably the best Assam Laksa in Singapore. I eagerly took a mouthful. It was flavorful, spicy and tangy. It would be even better if they are using the right type of noodles, those that are thicker and chewier and not using the thick bee hoon. 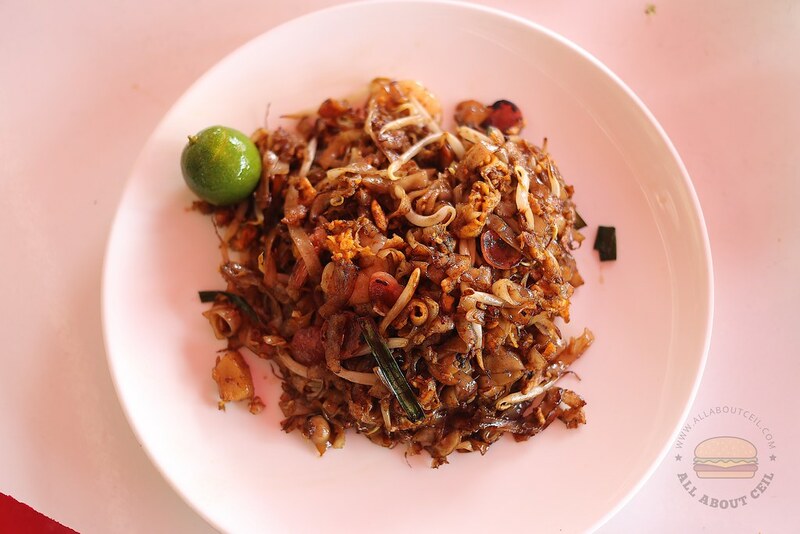 The Penang Fried Kway Teow was not as good as expected. The chilli was omitted as requested, it did not taste as savory as expected. They might have replaced it with the usual dark sauce as it actually tasted like the local style fried kway teow. 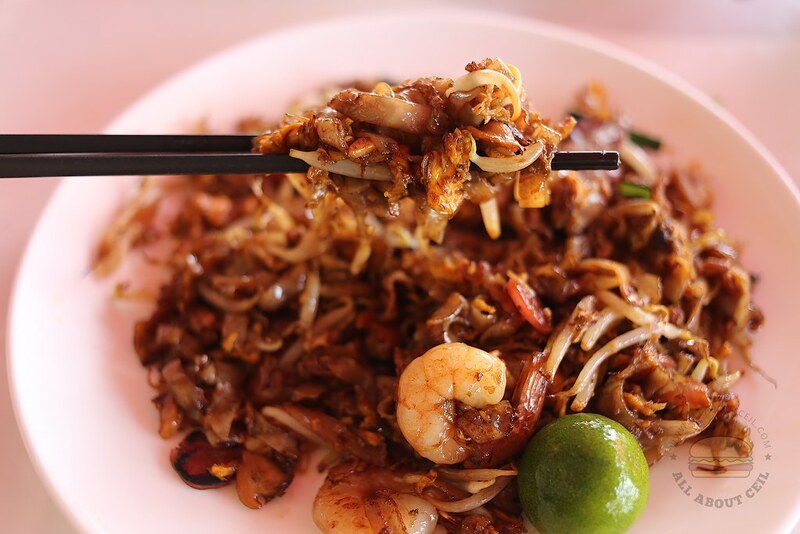 It was stir-fried with ingredients like cockles, lup cheong, and prawn with a handful of bean sprouts. 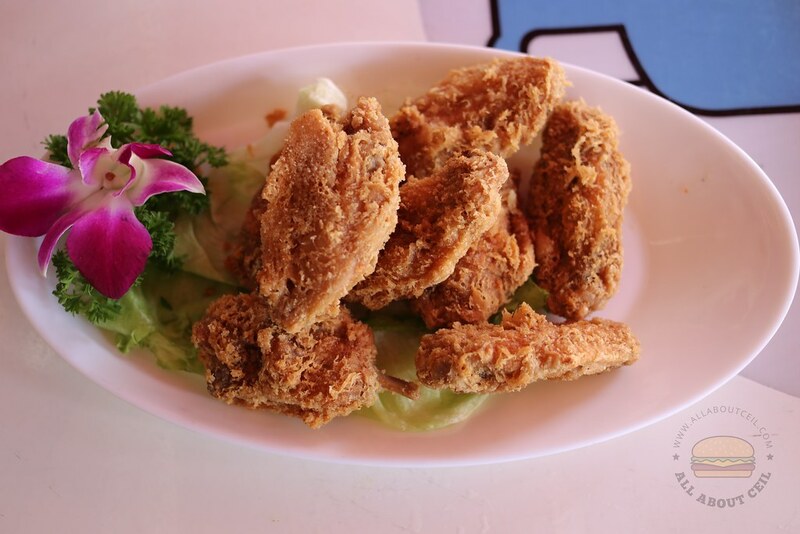 Those pieces of Prawn Paste Chicken were nicely fried to the desired crispiness but the prawn paste taste was not as intense. I am likely to come back for their Assam Laksa if happen to be in the vicinity. I've tried this before and it was pretty good! It used to be in an air-conditioned shop - is it still in an air-conditioned space now? Looks like it's just in a non-air-conditioned coffeeshop now? There are the aircon and non-aircon sections. Yeah, their CKT not up to standard. There's also another Penang CKT at a hawker center near the library. That one slightly better.